Ladakh is a mecca for road trip enthusiasts, whether you like traveling in a car or on a motorcycle, its roads (or lack thereof) are sure to keep you engaged for every moment you drive/ride there. Due to this, it becomes all the more important to have a rough plan in hand, that you can rely on or use as reference, while traveling through this magnificent part of India. 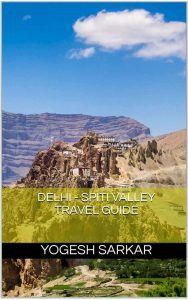 If you do not wish to read the detailed itinerary, you can download brief Ladakh itinerary in PDF format, by right clicking here and choosing save as. Day 1, Srinagar – Sonamarg – Zoji La – Drass – Kargil (205km): While the distance you would be traveling today isn’t that great. It is best to start early in the morning, so that you can spend some time at Sonamarg and at Kargil War Memorial (5km after Drass), take plenty of photos en route and still manage to reach Kargil by evening. In the beginning of season, traffic to Zoji La is released from each side at specific intervals, so make sure you reach Sonamarg by at least 8am. Road Conditions: Mostly good tarmac, with both sides of Zoji La being in bad condition and road construction taking place at few other places. Day 2, Kargil – Mulbek – Lamayuru – Leh (235km): Once again it is recommended you start early in the morning, so that you are not only able to visit Lamayuru Monastery, but also stop at Gurudwara Pathar Sahib, Magnetic Hill and Indus and Zanskar Confluence. All these places are located along the highway. Road Conditions: Mostly good, barring bad roads at few places due to ongoing road construction. Day 3, Leh sightseeing and inner line permit: After continuous driving/riding for past few days, it is time to unwind a little and wake up lazily. Apply for Inner Line Permit for Nubra Valley, Pangong Tso and Tso Moriri through a travel agent or yourself in the morning, and then get your vehicle some TLC by getting her a wash and a general look over at a garage. 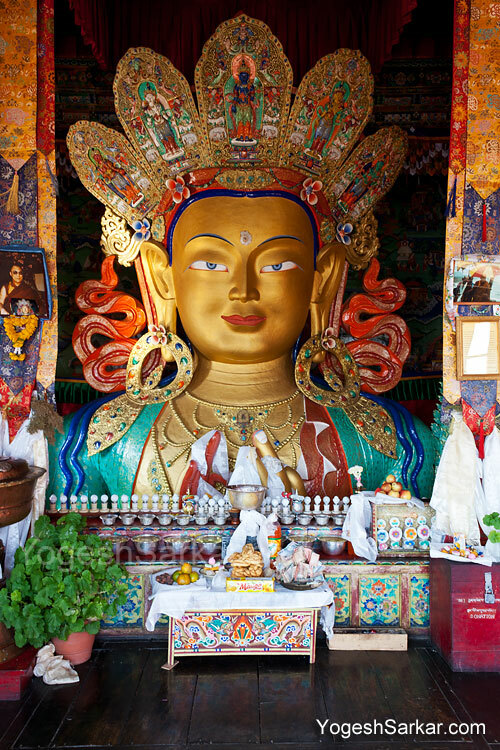 Visit Shanti Stupa, Leh Palace and Namgyal Tsemo Gompa. Spend the evening at Leh Main Market or Changspa Road, tasting some of the delicacies Ladakh has to offer. Day 4, Leh – Khardung La – Khardung Village – Diskit (116km): Nubra Valley: If possible, start early in the morning, since Khardung La is access controlled during peak season and traffic from both sides is released on a rotational basis. Have your customary photo taken at the highest motorable road, Khardung La and after having a cup of tea or Maggi and buying souvenirs, start your descent to the beautiful Nubra Valley. Stop at Khardung Village again for tea or lunch; thereafter resume your picturesque journey to Diskit Village. Once at Diskit, get a room and dump your luggage, freshen up and head to Diskit Monastery for fantastic view of Nubra Valley and to watch the sunset. 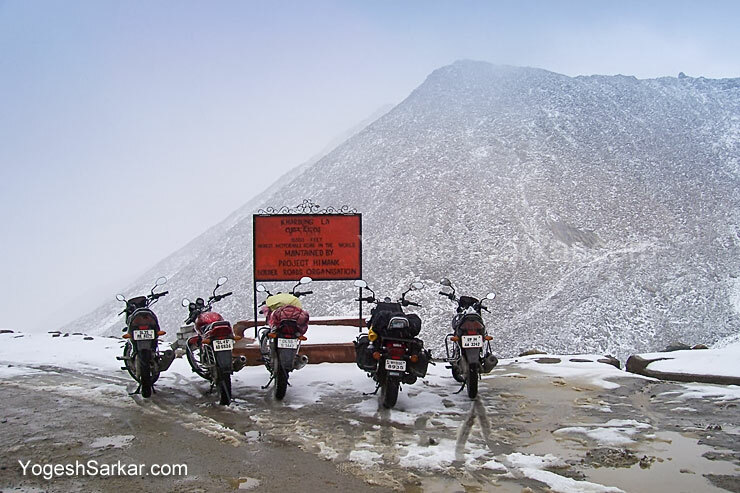 Road conditions: Both sides of Khardung La are in bad condition and there are a few places in Nubra as well, which are broken due to ongoing road construction, apart from that it is smooth sailing. Day 5, Diskit – Hunder – Diskit – Sumur – Panamik – Sumur – Khardung La – Leh (210km): Visit Hunder Sand Dunes early in the morning, thereafter leave for Sumur and Panamik Village (if you have time). While Sumur is a beautiful and green village, Panamik is completely barren and can be avoided, if you are short on time, especially since the hot springs there aren’t anything to write home about. Avoid Sumur and Panamik completely, if you are interested in taking Bactrian Camel Ride at Hunder. Come back to Leh by nightfall. Road Conditions: Mostly great, barring couple of road construction zones and both sides of Khardung La. Day 6, Leh – Karu – Chang La – Tangste – Pangong Tso (175km): Start early from Leh and have your breakfast at the dhabas in Karu, which serve excellent parathas and Kadhi-Chawal. Just beyond Karu and past Shakti Village, steep ascent to Chang La begins. While Chang La is lower in altitude than Khardung La, it is steeper and tougher to scale and the fun part is, descent from Chang La is even steeper so the fun doesn’t stop as soon as you cross the pass. Beyond Durbuk, it is smooth sailing till the town of Tangste, which is a perfect place for lunch. 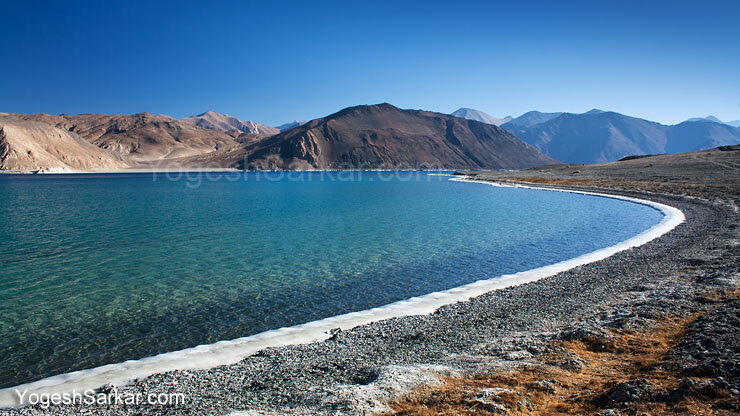 Post lunch, start your journey to the beautiful Pangong Tso, where you should be able to reach within an hour. Road Conditions: Apart from both sides of Chang La being in bad state, rest of the route is in good condition. Special tip: while accommodation at Pangong Tso is available at Lukung, Spangmik, Man and Merak, if you are feeling effects of AMS, then it is best to head back to Tangste, which is lower in altitude and has more amenities to offer. Day 7, Pangong Tso – Tangste – Chang La – Leh (175km): Before beginning your journey back to Leh, you have the option of driving/riding till Merak Village for a much better view of Pangong Tso (if you aren’t averse to tackling rocky and sandy route). Alternatively you can attempt the highest Motorable Pass in the world, Marsimik La (you will need to specifically mention Marsimik La in your permit application) or you can take detour to Harong Wet Lands from Tangste Village (look for boards for Erath and a road which goes towards the left), before resuming your journey back to Leh. Day 8, Monastery Circuit (125km): Drive to Hemis Monastery, which is situated at small diversion after Upshi Village on Leh – Manali Highway, then drive back towards Leh and en route visit Thiksey and Shey Monasteries. While driving from Leh to Upshi (15km from Leh), you will also be able to see the famous Rancho’s School (from movie 3 idiots) on the left hand side. Once you are back in Leh, you can visit Hall of Fame and maybe even Spituk Monastery, before doing shopping, since this is your last day in Leh. Road conditions: Excellent! Day 9, Leh – Upshi – Tanglang La – More Plains – Pang – Sarchu (255km): Start early from Leh and make sure you are carrying at least enough fuel for 380km journey to Tandi Petrol Pump. While the roads from Leh to Rumtse are fantastic and the drive picturesque; real fun begins as soon as you start ascending to Tanglang La. What greets you at Tanglang La is a fantastic view of the Manali – Leh Highway, letting you see the road you would be driving/riding for the next hour or so! Few kilometers after Tanglang La and just after Debring, picturesque More Plains begin. Just beyond More Plains is Pang, which is a collection of tents and an army base, perfect place for lunch or availing medical facility of Army, in case of AMS. Beyond Pang and after Lachulung La and Nakee La, 21 loops of Gata Loops descend you towards Sarchu, which is another collection of temporary tents and an army base. Road conditions: mix of good and bad, with both sides of Tanglang La being particularly bad. Special tip: If you start at 5 am from Leh, you can reach Jispa by evening, which is at a much lower altitude and has hotel, while Sarchu only has tented accommodation and is a lot colder. Day 10, Sarchu – Baralacha La – Tandi – Rohtang Jot – Manali (225km): It is time to leave state of Jammu and Kashmir behind and enter into Himachal Pradesh (though you might have done that yesterday itself, based on where you stayed.) Road from Sarchu to Baralacha La is mostly good, unless you are traveling early in the season or a bridge is out. As you cross Baralacha La and reach Darcha (decent place for lunch), landscape starts transitioning from arid to green and roads get progressively easy to drive/ride on. Tank up at Tandi with enough fuel to reach Manali and start your final push back to civilization and concrete jungle. However just before you reach the maddening crowds at Manali, last obstacle in the form of Rohtang Jot remains, which is bad on Leh side. However once you reach Rohtang Jot, it is only going to be traffic (if you are traveling in May and June) which will annoy you till Manali, our final destination in this itinerary and likely the last Himalayan night stay of your road trip to Ladakh! Road conditions: Mix of good, bad and ugly, especially if you are traveling in May or June. Day 1, Manali – Rohtang Jot – Tandi – Jispa (140km): If you are traveling in June, start at 4:30 or 5 am from Manali, in order to cross Rohtang Jot early enough to avoid major traffic snarls. Spend the night at Jispa, or travel to Darcha if you don’t mind staying in a dhaba tent and using the open area beyond tents as toilet. You aren’t staying at Sarchu, in order to avoid getting hit hard by AMS, which is bound to happen, if you double your sleeping altitude in a day! Day 2, Jispa – Baralacha La – Sarchu – Pang – Tanglang La – Leh (345km): It is going to be a long-long day and you need to cross Tanglang La before dark, so as to avoid getting stuck in the nasty weather there. So make sure to start at 5 am from Jispa or Darcha, in order to reach Leh by nightfall. If you reach Sarchu around 2pm, then spend the night there itself, since you will only keep gaining altitude, till you cross Tanglang La and sleeping at Pang or Debring would be far worse for your health, than sleeping at Sarch and crossing Tanglang La in dark is risky. 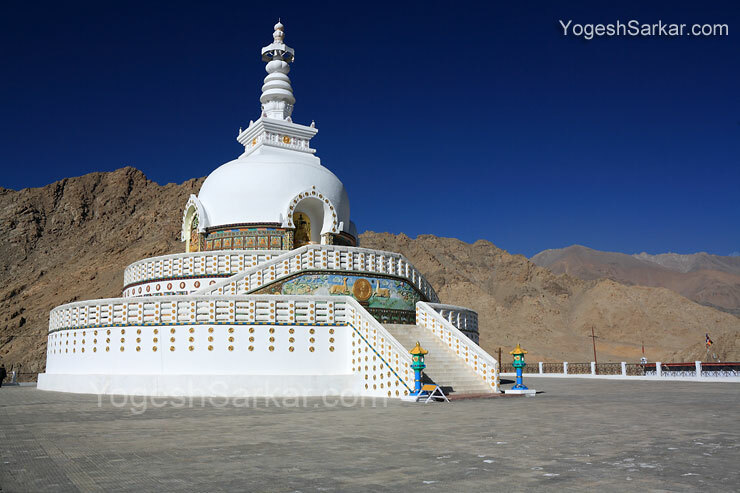 If you follow the above itinerary and are starting from Delhi, then your trip will be of 13 days, you can further reduce it by one day, by skipping the monastery circuit on day 8 and save one more day by doing Pangong Tso as a day trip (12 hour round trip). If you have more time in hand, then you can add places like Suru Valley, Zanskar Valley, Batalik, Dah and Hanu Villages, Chushul, Hanle, Tso Moriri, Changthang and much-much more. If this is the case and you need help with planning your customized itinerary, leave a comment below with the number of days you have in hand, mode of transport, month of travel, any special preference/places you wish to cover, whether you will like to start from Manali side or Srinagar, and I will reply back with a personalized itinerary, made specifically to cater to your needs and aspirations. For Ladakh Road Maps, fuel availability, mobile and internet coverage, what to carry to Ladakh, how to prepare your car or motorcycle for Ladakh, hotel and restaurant reviews and much more information on all aspects of traveling to Ladakh, checkout our All you wanted to know about traveling to Leh-Ladakh thread on BCMTouring, which contains links to all the relevant reviews and articles. Also, always treat itineraries for Ladakh as a reference point and just go with the flow, once you arrive there and do not try and stick to a schedule, at the expense of having fun or safe driving! NOw, I will navigate on google earth, and my Ladakh trip is once again completed. Your blogs/articles have been very helpful! Thank you so much for all this. Based on your blogs and other sources on the internet. I have managed to create an itinerary on my own. Could you please review it and let me know in case of any changes/suggestions. We have around 17 days. I am doing this epic road trip with my wife as a pillion and another couple friend of mine. Day 3: Sarchu to Rumtsey Village (Leh Valley)- Types of accomdation avaialble here? Want to make this ride as easy as possible for the ladies. Don’t mind extending halts/ overnight stays. We are planning to begin on 14th July. Thank you Ashish for your kind words. My advice to you would be to go via Srinagar route, since it is lower in altitude and thus acclimatization would be gradual. 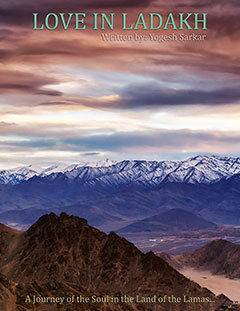 You can check out tips and recommendations regarding AMS in Ladakh AMS Survival Guide. There is no point staying at Rumtse, it is just one and half hour ride from Leh. Also instead of spending 3 nights in Leh, spend 2 nights there and break journey between Pangong Tso and Tso Moriri in to two days. There is a direct route from Pangong Tso to Tso Moriri via Chushul (see the map here), however it is bad for around 100km. There are also no petrol pumps en route, so the round trip would be 560km, after refueling at Karu (assuming that you are planning to take Wari La route.) Though you can buy fuel in black for higher cost and lower quality. Oh yes, Kalachakra would end on the 14th of July, so a large number of people would be leaving Ladakh. Better book hotels en route as well as in Leh ASAP, otherwise finding accommodation would be difficult. We have one tiny problem. We are group of 6 people. One couple only has 11 days to travel. Rest 4 of us have 17-18 days of vacation time. we are 4 peoples from Pune, planning a trip to Leh – Ladakh on our bikes with 21 days in hand, so plz suggest us a good itinerary from Manali side which will cover most of places as you’ve mentioned above. we’ll be starting our trip on 28th August. Ladakh in October, a bad idea?